Vizit, LLC ('Vizit') will provide the Support Services listed below for the Software for which the Customer has purchased a current Vizit Maintenance Agreement as listed in the applicable Vizit invoice. A Customer may designate up to two (2) authorized Support Contacts per production SharePoint Farm license. One contact must be the Customer’s SharePoint administrator. Each Support Contact must be knowledgeable in all aspects of the Customer’s operating environment in which Vizit’s Product(s) are being used. 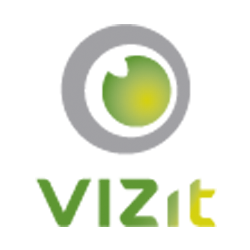 Vizit will establish and maintain an organization and process to provide support for the Software to Customers. Support shall include (i) diagnosis of problems or performance deficiencies of the Software and (ii) a resolution of the problem or performance deficiencies of the Software. Vizit will provide telephone and email software support on a business day basis. Business day is defined as 8:00 AM through 5:00 PM eastern standard time, excluding holidays and weekends. In addition, Vizit will provide an Internet based support system generally available seven (7) days a week, twenty-four (24) hours a day. Inconsistencies or irregularities exist which are not in conformance with the applicable specifications. Upon receipt of notice from Customer of a Minor problem, Vizit will apply all reasonable efforts to provide Customer with a correction to the problem at the next scheduled maintenance release, as agreed by the Project Managers. A documented feature is not working correctly; "work around" may be available. Upon receipt of notice from Customer of a Serious problem, Vizit will use all reasonable efforts to provide Customer with a correction to the problem. Frequent or lengthy service interruptions of key applications not functioning; no known "work around" exists. Upon receipt of notice from Customer of a Critical problem, Vizit will immediately apply continuous and extraordinary efforts to provide Customer with a correction as soon as possible. This agreement is not intended as a consulting agreement for customer services. With respect to severity three (3) reported deficiencies, Vizit may, with the concurrence of the Customer, elect to send senior support or development staff to the Customer location to accelerate problem resolution. Vizit will be responsible for the costs associated with this escalated problem resolution if the problem is determined to be related to the supported Software. If it is determined that the problem was not related to the supported Software, the Customer agrees to pay reasonable travel and lodging expenses in addition to Vizit's standard consulting rates. Travel time will be charged at consulting rates. During the term of this agreement, Vizit will provide the Customer with copyrighted patches, updates, releases and new versions of the Software along with other generally available technical material. These maintenance materials including the Software may not be used to increase the licensed number of versions or copies of the Software. The Customer agrees not to use or transfer the prior version but to destroy or archive the prior version of the Software. All patches, updates, release and new versions shall be subject to the license agreement related to the Software. Vizit will undertake all reasonable efforts to provide technical assistance under this agreement and to rectify or provide solutions to problems where the Software does not function as described in the Software documentation, but Vizit does not guarantee that the problems will be solved or that any item will be error-free. This agreement is only applicable to Vizit Software running under the certified environments specified by Microsoft in their SharePoint release notes. Vizit will provide the Customer with substantially the same level of service throughout the term of this agreement. Vizit may from time to time, however, discontinue Software products or versions and stop supporting Software products or versions one year after discontinuance, or otherwise discontinue any support service. THE FOLLOWING WARRANTY IS IN LIEU OF ALL OTHER WARRANTIES, CONDITIONS OR PROMISES TO CUSTOMER OR ANY THIRD PARTY, EXPRESS OR IMPLIED, INCLUDING ANY IMPLIED WARRANTY OF MERCHANTABILITY OR FITNESS FOR A PARTICULAR PURPOSE, OR ARISING BY STATUE, LAW, COURSE OF DEALING, CUSTOM AND PRACTICE OR TRADE USAGE. EXCEPT AS PROVIDED ABOVE, THE SERVICES AND MAINTENANCE ARE PROVIDED 'AS IS'. Vizit is not liable for incidental, special or consequential damages for any reason (including loss of data or other business or property damage), even if foreseeable or if Customer has advised of such a claim. Vizit's liability shall not exceed the fees that Customer has paid under this agreement. Customer agrees that the pricing for the services would be substantially higher but for these limitations. This agreement shall start on the Effective Date which will be the date of the applicable Vizit invoice for the related software maintenance. This agreement shall run for a period of one (1) year from the Effective Date and shall automatically renew for consecutive one (1) year periods unless either party provides written notice of termination within sixty (60) days prior to the anniversary date of the Effective Date. Payment for each renewal term shall be due on the renewal date at the current rates for support of the Software. This agreement may be terminated for non-payment or material breach. Fees paid or due are non-refundable unless Vizit has materially breached this agreement and has failed to cure the breach after 30 days written notice. (a) Each party acknowledges that it has read this Agreement, they understand the agreement and agree to be bound by its terms. Further, both parties agree that this is the complete and exclusive statement of the Agreement between the parties, which supersedes and merges all prior proposals, understandings and all other agreements, oral and written, between the parties relating to this Agreement. This Agreement may not be modified or altered except by written instrument duly executed by both parties. The Software and the use thereof are subject to the license agreement related to the Software. (b) Times by which Vizit will perform under this agreement shall be postponed automatically to the extent that we are prevented from meeting them by causes beyond reasonable control. (c) This agreement and performance hereunder shall be governed by the laws of the State of Massachusetts. (d) No action, regardless of form, arising out of this Agreement may be brought by Customer more than two (2) years after the cause of action has arisen. (e) If any provision of this Agreement is invalid under any applicable statute or rule of law, it is to that extent, deemed to be omitted. (f) Customer may not assign or sub-license without the prior written consent of Vizit, Customer's rights, duties or obligations under this Agreement to any person or entity, in whole or in part. A sale of substantially all of Licensee's assets to a third party or any transfer of more than 50% of the voting stock of Licensee to a third party shall not constitute an assignment under this license. (g) The prevailing party in any action related to this agreement shall have the right to recover its reasonable expenses including attorney's fees. The term 'Software' as used in this agreement means any software and related documentation furnished and licensed to you by Vizit for which the customer has purchased a current maintenance agreement as set forth in one or more Invoices and any upgrades, add-ons or other software and related documentation provided to you pursuant to this Agreement. This Agreement was last updated on August 11th, 2014. How do I activate my Vizit Evaluation License?